HCM CITY — The Vietnamese rubber industry is targeting sustainable development in addition to trademarks development and higher-quality products, speakers said at a seminar held on June 14 in HCM City. Trần Thị Thuý Hoa, head of the rubber industry development board under the Việt Nam Rubber Association, noted that the industry and the association were working on sustainable development solutions. In Việt Nam, the Việt Nam Rubber Group is the first rubber company to commit to sustainable development, according to Hoa. 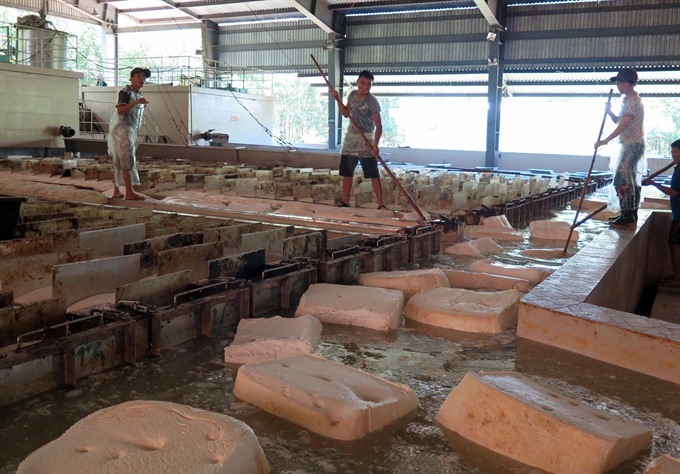 Việt Nam is one of the biggest rubber exporters in the world, with products exported to 128 nations and territories. China, India and Malaysia are the three biggest importers of Việt Nam’s rubber.